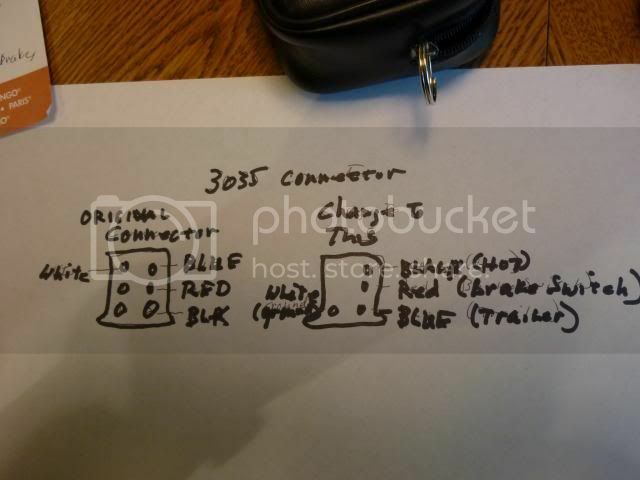 I have called two suppliers that tell me the 3035 adaptor is for a Ford truck application. I have a 2014 RRS that they claim has no adaptor harness listed. Yours is a '14 RRS Yes? Last edited by RRToadHall; July 28th, 2015 at 10:13 AM. Yes, it is a 2014.5. I called Tekonsha directly and spoke with a manager over there. The 3035 is definitely for a 2014 RRS. They haven't updated their application info yet. You'll have to do a somersault under the dash. The connector is strapped to the brake pedal support on the driver's side. 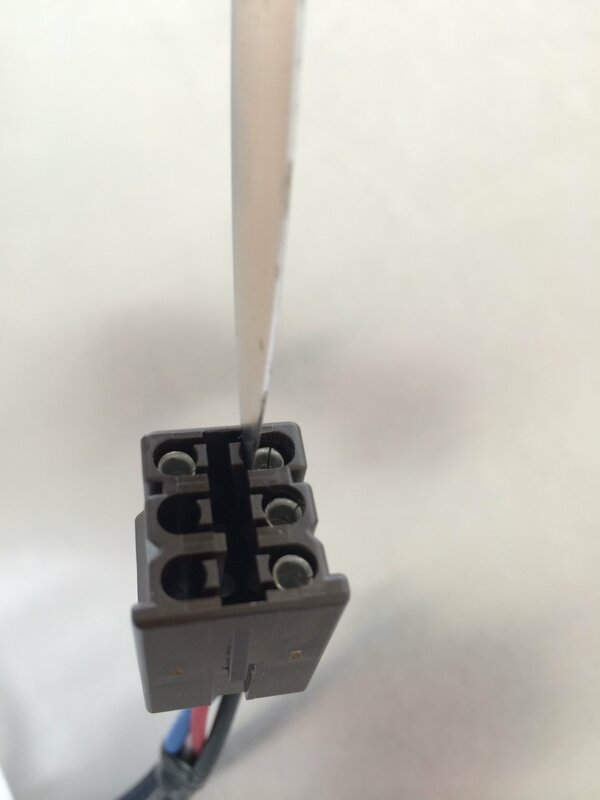 The 3035 plugs in easily. Again, check the wiring. Very cool, I'll start limbering up ! Curious 383 - where did you end up mounting the brake controller unit? Pictures would be greatly appreciated! Good judgement comes from experience, and alot of that comes from bad judgement. Hi Baymar, I mounted it to the right of the steering wheel above the right knee. It's out of the way, but can be seen by the driver and operable. I'm in the office now. I'll try to get a picture later in the day. Thanks! 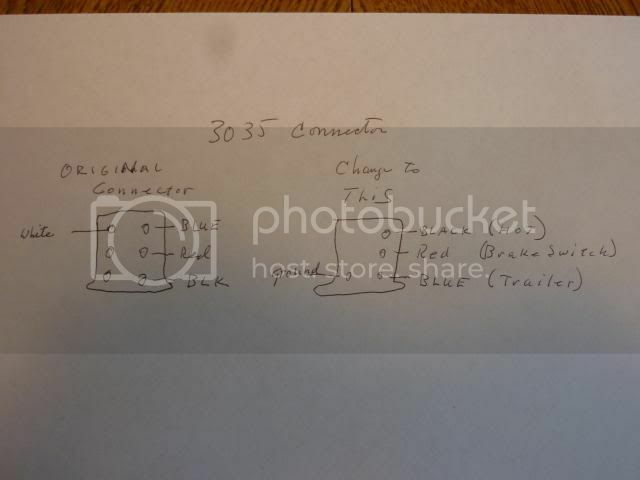 I have never had a brake controller, but am acquiring a new trailer that has electronic brakes. Why did you choose the Progeny? I believe the place I am purchasing the trailer stocks and installs Draw-Tite controllers - do you have any experience or thoughts about that brand or do you suggest the Progeny 2 is the best application for the RRS? I've been usng a Progeny 2 for over 12 years in my Denali. I did research at the time and decided on this unit. It was recommended by a number of people. When I purchased the brake controller for my RRS, I was suprised to find that the Progeny 2 is still being manufactured with no changes. Since I am keeping the Denali, I ordered the same unit which has performed flawlessly over the years. Even though it is easy to use, there was no learning curve necessary for my little brain. On the other hand, Drawtite is a good brand. I'm sure it will be fine if you chose that unit. Last edited by RRToadHall; July 28th, 2015 at 10:14 AM. Many thanks - quite helpful. Many thanks 383vette. My wiring was exactly the same. I just installed mine using your guide. Simple and easy. I will upload some additional photos for anyone else doing the same. This is the end of the 3035 wiring harness that plugs into the Rover. Give a push on the side and pop the red plastic piece out. Then pry the taps with something like a knife (sorry vette, I had no dental tools.) And the wire will release. Move the white wire and swap the black and blue as described above. You are now ready to go. Should take you 10 minutes. 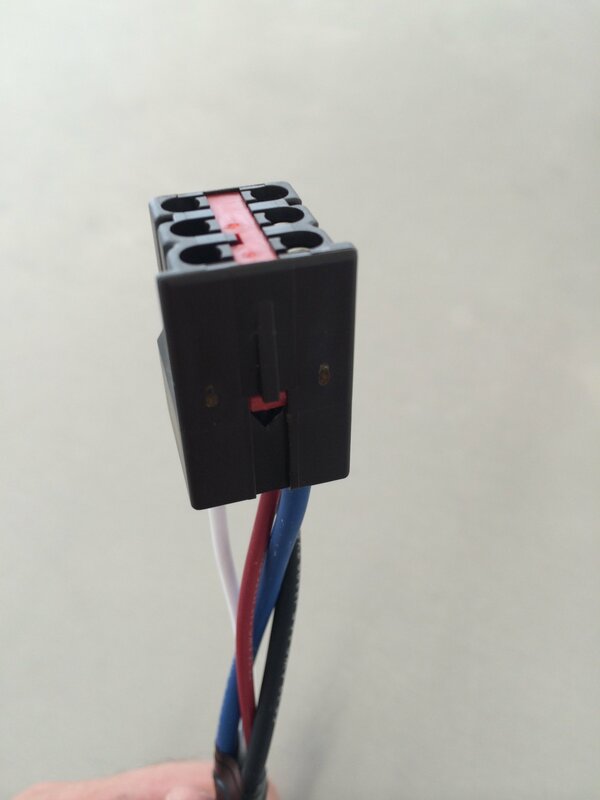 To install in the car: You are looking for this plug under the dash. 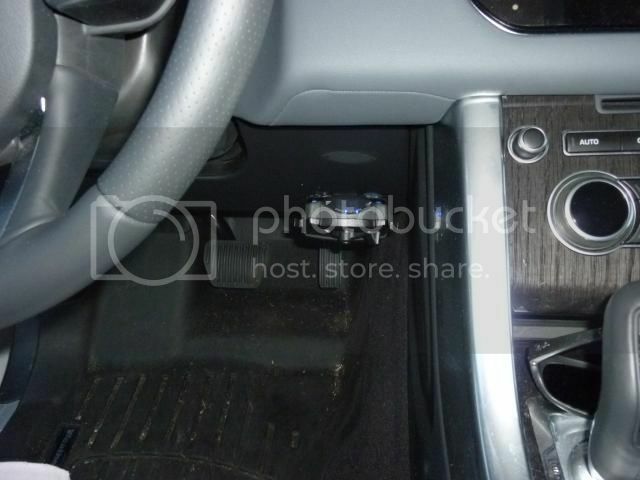 It is just above the brake pedal. 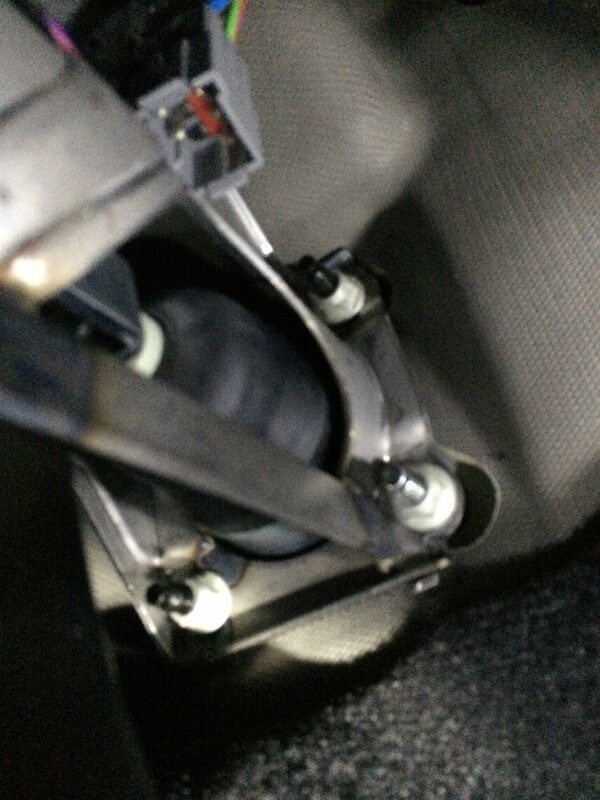 To access it, there are 3 x 7mm screws that remove the access panel just above the gas and brake. It is possible to reach your hand behind the brake and plug this in. But, it is hard to find unless you know what you are looking for. There is an opening just behind the diagnostic port where I ran the pig tail out. When not in use, I tuck it back in there. FYI, I used this exact same controller in harness in my 07 sport. 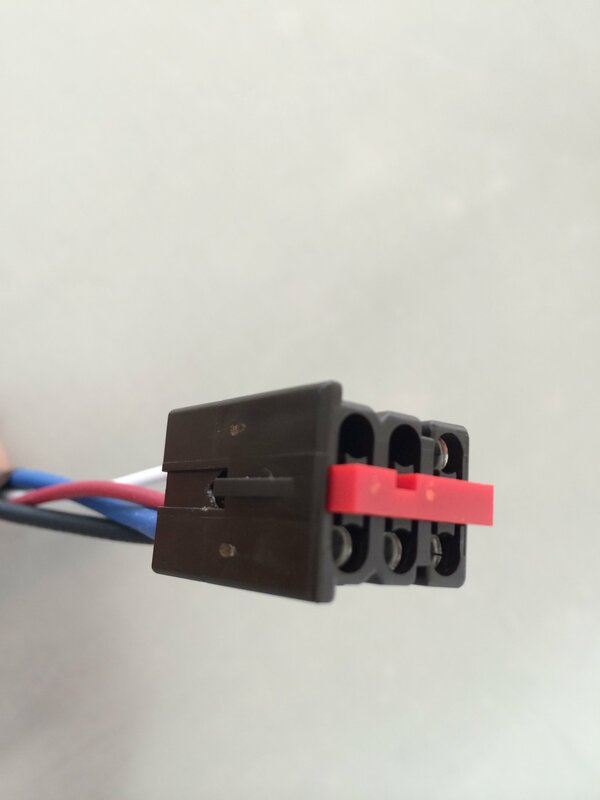 As vette observed the plug is the same (a Ford component) but the wiring is inverted. So, you are buying a harness for the old models and modify to account for the inverted wiring.